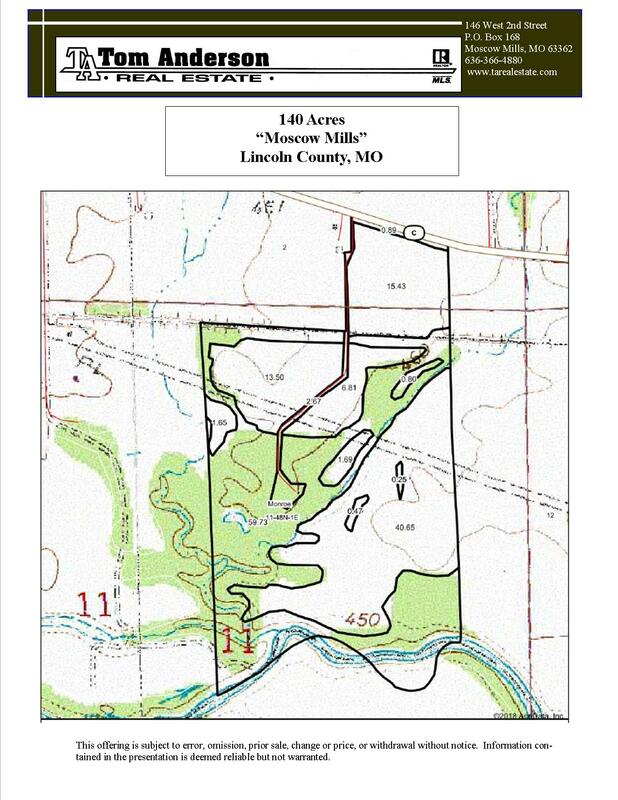 140 Acre Farm “Moscow Mills”, Southern Lincoln County, MO. 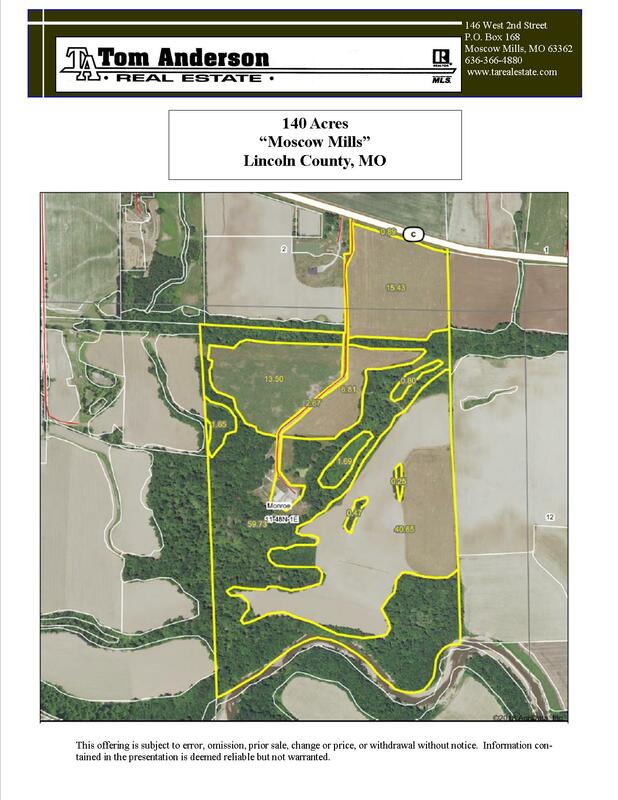 Located off State Highway C in Southern Lincoln County near Moscow Mills, MO lies this 140-acre Farm. 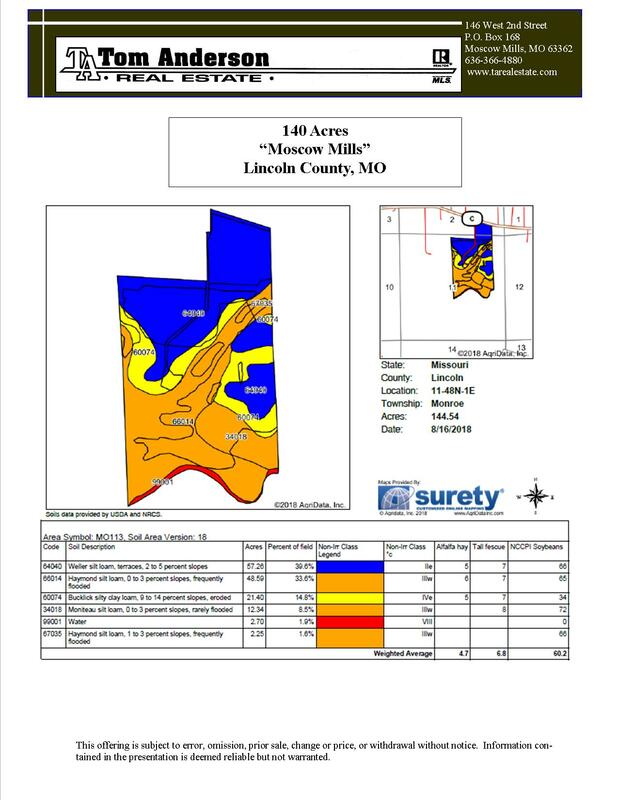 The property consists of 64 acres Mature Timber, 49 acres Pasture/Hay, and 27 acres Tillable in the Cuivre River Bottom. Set on ridge in the center of the farm is a sprawling 2800 square foot ranch style home. This 4 Bedroom/2Bath home with Master Bedroom Suite features Formal Dining a Great Room w/Vaulted Ceiling, Can Lighting &Wood Burning Stove and a Large Eat-In Kitchen that flows to the Sun Porch. Additionally, on the property is a 96X40 shed with partial shop and a 64X40 open shed/pavilion with enclosed area and a small open front horse shed w/fenced pen. This combination property has it all with residence, pasture, crops to woods and Cuivre River access for hunting/fishing and recreation. Only a short commute to the St. Louis Metropolitan Area! Highway 61 North to Hwy C./Moscow Mills Exit, for 3.5 Miles to property on right at sign.